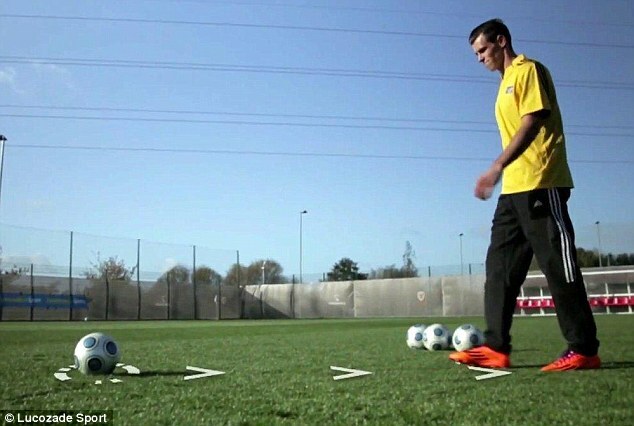 Forget bending it like Beckham – now you can learn how to bend it like Bale! 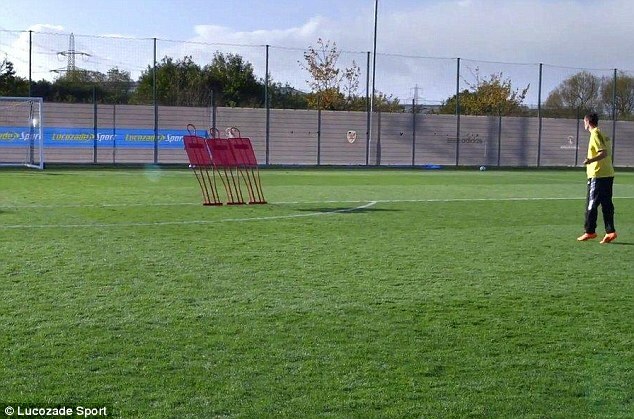 The Real Madrid winger, who joined the Spanish giants for £86million from Tottenham in the summer, has released a video explaining his free-kick technique. He hopes to help youngsters improve their set-pieces after making an instant impression himself in the Spanish capital. 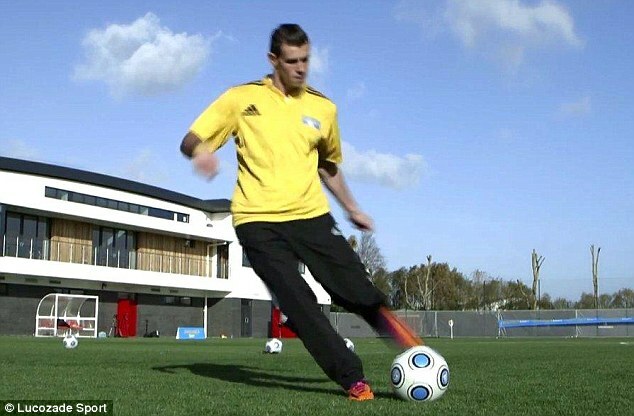 Standing over the ball in a video shot for Lucozade, Bale explains: ‘First I find the valve on the ball. I place it in line with where I am aiming. I hit the ball right on the valve. ‘Then you position the ball at where you’re going to strike it. ‘I usually take four steps back and slightly to the right. Then I focus at where the keeper is and where I want to put the ball. ‘When you’re running up, you must keep focused on the point you want to hit. ‘The main thing when I’m running up is I hit the ball as flat as possible with no spin. I open my foot right up. ‘I hit the ball exactly where I want, right in the middle. ‘I then have to try and hit it so I’m not curling the ball. I want to get the flight of the ball to move and make it difficult for the keeper. ‘And with my follow-through I’ve got to keep my body up tall. ‘Hopefully the ball then will go exactly where I want it. 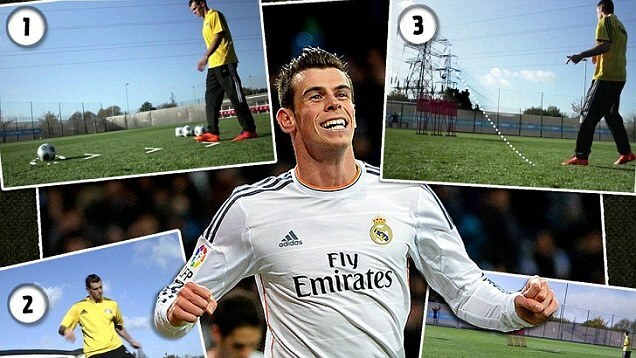 Bale hasn’t taken long to settle in at Madrid, scoring nine goals for his new club so far. And one of the his best strikes was a free kick against Galatasaray in the Champions League last month. With regular set-piece maestro Cristiano Ronaldo in the stands injured, Bale scored a brilliant opening goal as his side romped to a 4-1 win.